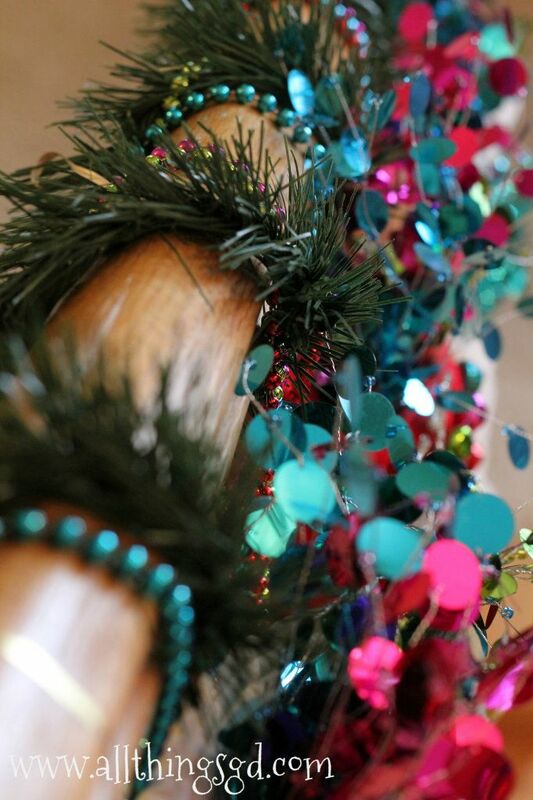 Our 2012 Christmas decorations are up and brightening our house with lots of sparkle, tinsel, and cheer! So far I’ve shown you our colorful Christmas tree, and throughout this week I’ll be showing you the rest of our home’s holiday color and sparkle – starting with our entryway! Come on in for some holiday fun! Guests are greeted with a DIY monogram “wreath” hanging on our front door, and the first sign of Christmas cheer indoors is a display of miniature ornaments hanging from the mirrors on our entryway wall! 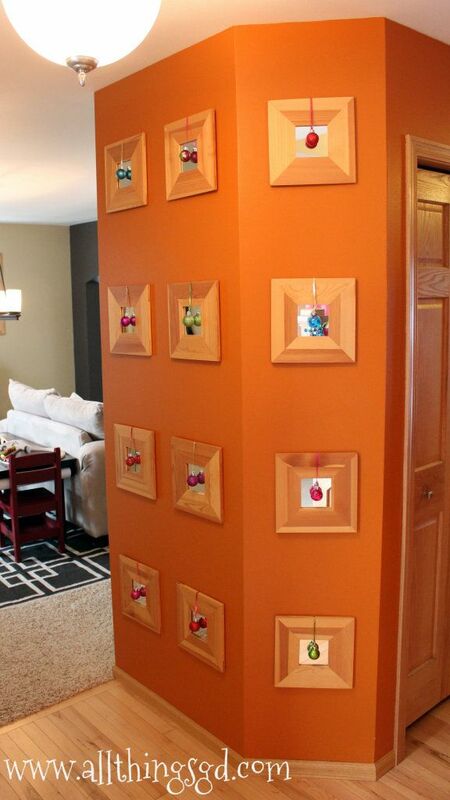 A display of holiday ornaments hanging over mirrors greets guests in our entryway. 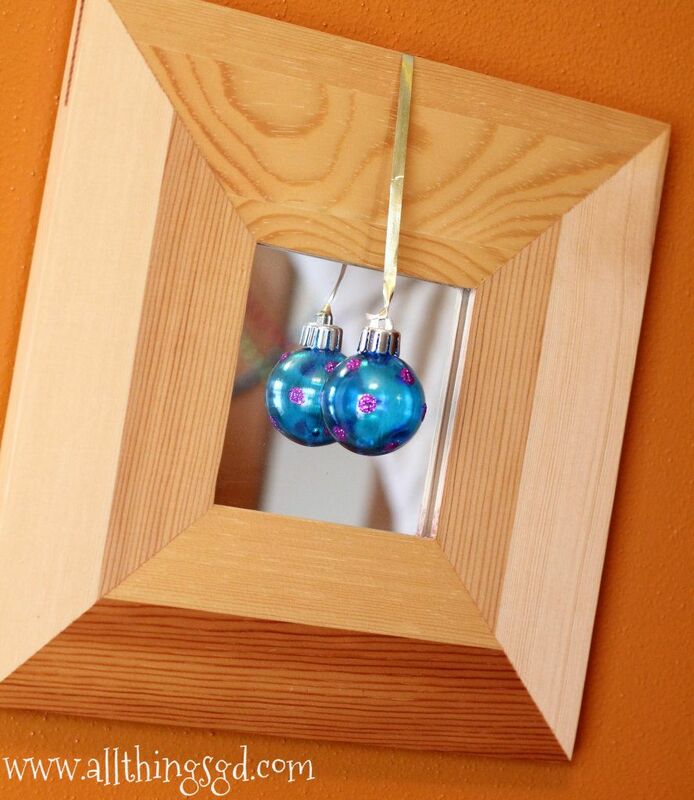 Ornament hanging over a mirror. 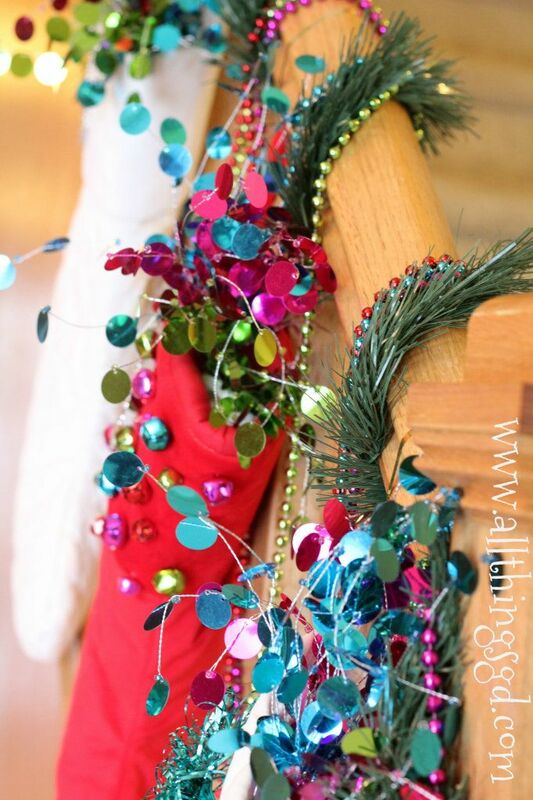 Christmas stockings were meant to be filled, so I keep ours happy until Christmas Eve by stuffing them with fun and colorful confetti picks bursting from their tops! “Kate!” Kate shouted out with glee. “G is for…” Pam asked, pointing to the last stocking. “Gwen!” Kate shouted, naming her best friend at daycare, so pleased with herself that she “got” this one. “…and Guh-Daddy,” I added with a laugh. 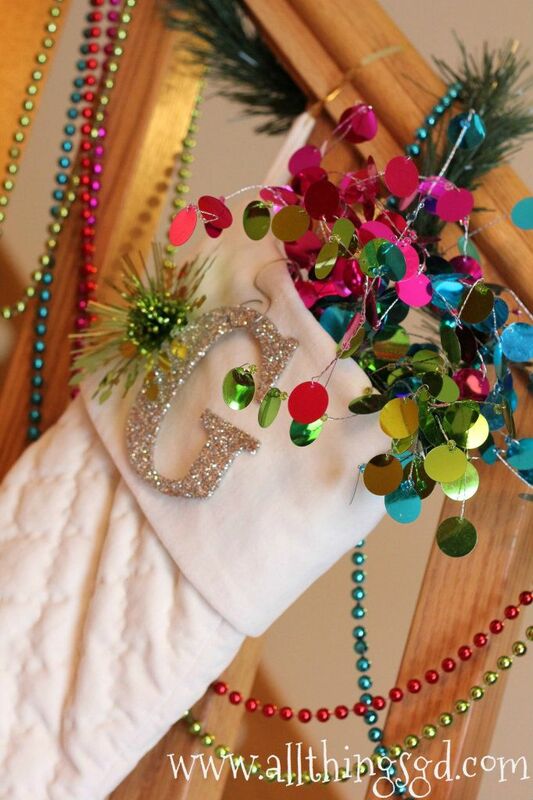 Our colorful stockings, personalized with our first initials. One last look from the front as we close the door on our entryway holiday decorations. Stay tuned for even more of our 2012 Christmas decor, coming all this week! 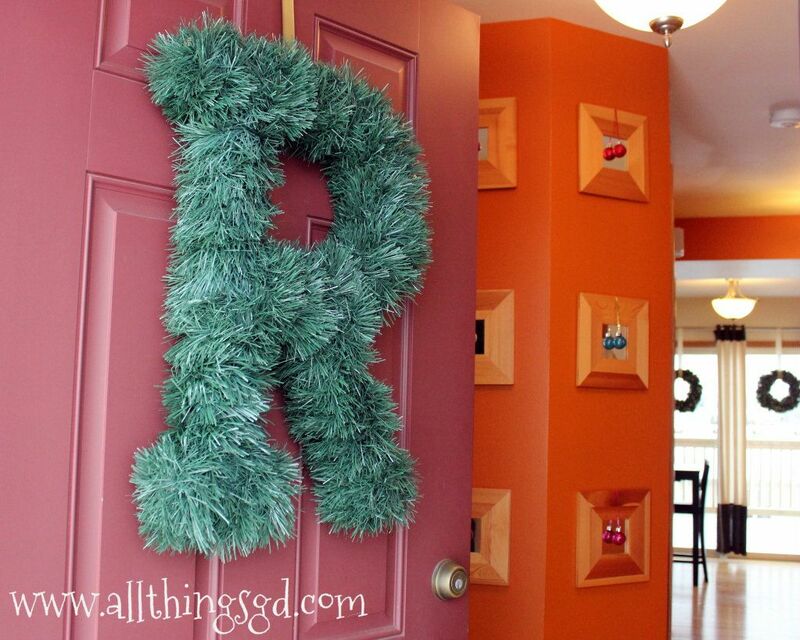 DIY Monogram wreath hanging on our front door. This is so cute! I love the glitter, confetti filling. 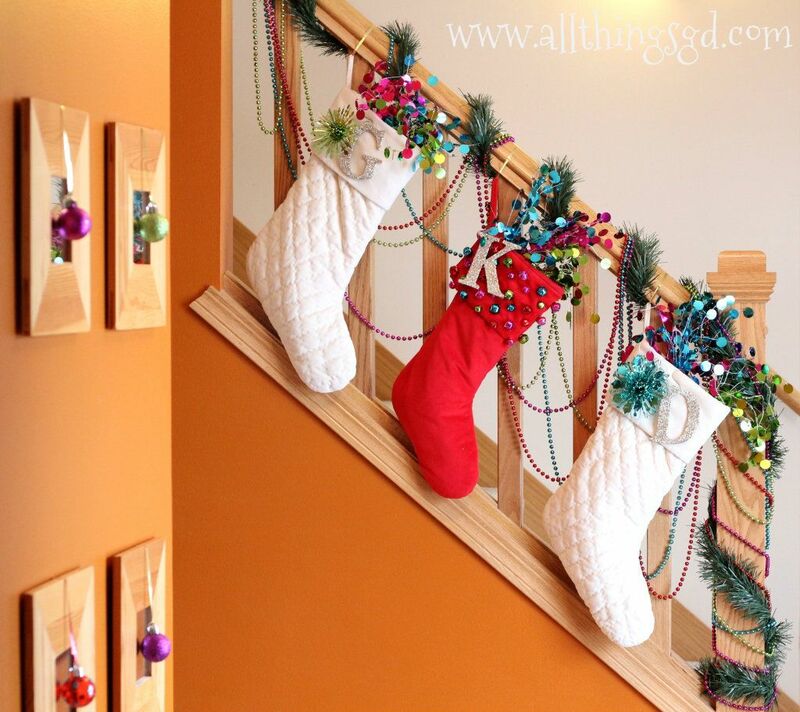 Stockings were definitely meant to be filled. 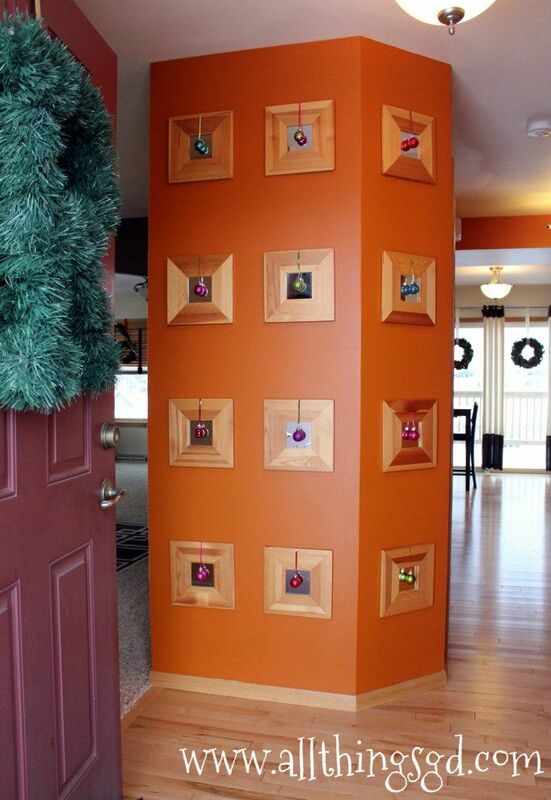 And those ornaments on the mirrors when you walk in – adorable!! Love that. Gorgeous! 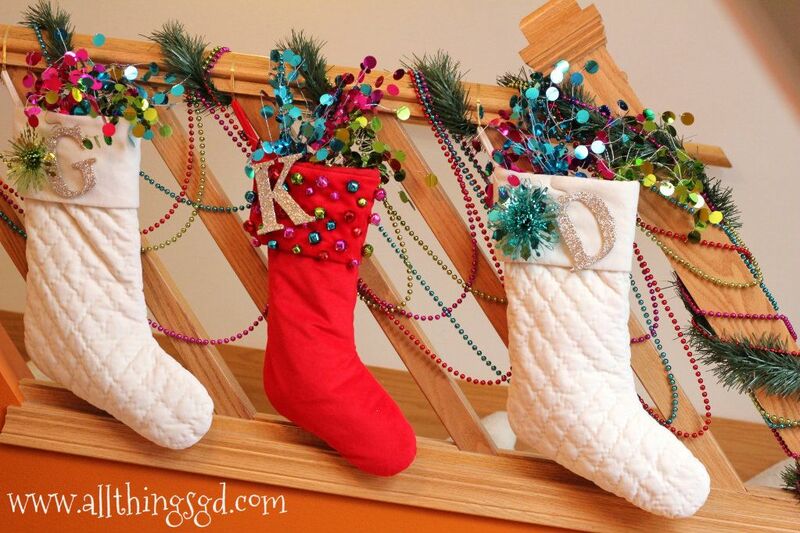 I love how you filled the stockings! Are they just hung with ribbon? I couldn’t tell. Love it! 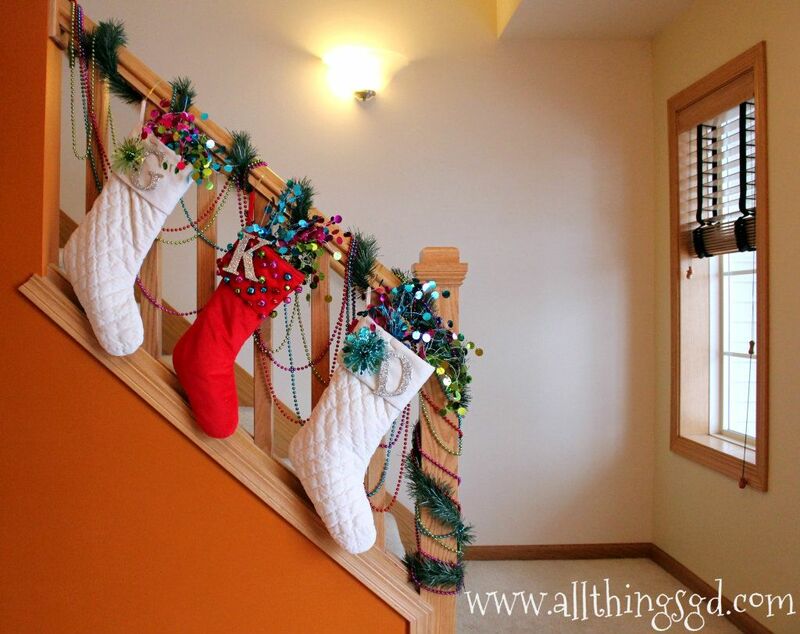 @Crystal: Yep, the stockings are just hung with ribbon – nice and simple! LOVE LOVE the touches with the little ornament balls!